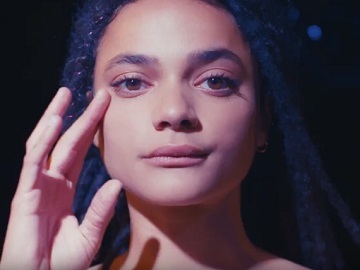 UGG has released a new ad, introducing Sasha Lane as one of the members of the AW18 UGG Collective. The 22-year-old actress, who made her film debut in Andrea Arnold’s 2016 “American Honey,” talks, in a 60-second spot in which she stars together with her dog, giving viewers a glimpse into a day of her life, about fame and her work. “With fame it’s like the grass is not always greener on the other side, it’s never greener on the other side. Yeah, we’re out there in the public and all of that, but just because fame is attached to it or like celebrity or whatever. Don’t know where people got this idea that they deserve everything from everyone,” she says, adding that basically everything she does with her work absolutely terrifies her and this is the reason why she has to completely be connected to something. “Let me do me and that’s all I asked for, you know, just let me be and not like judge me for it, and then it’s just all love,” Sasha adds. She wears a yellow co-ord and the Neautra Sneaker. UGG’s Fall 2018 campaign also features other California-based cool creatives like musician Clementine Creevy and photographer Zackery Michael.